The Wild olive tree has been considered by various botanists a valid species and a subspecies of the cultivated olive tree, Olea africana. 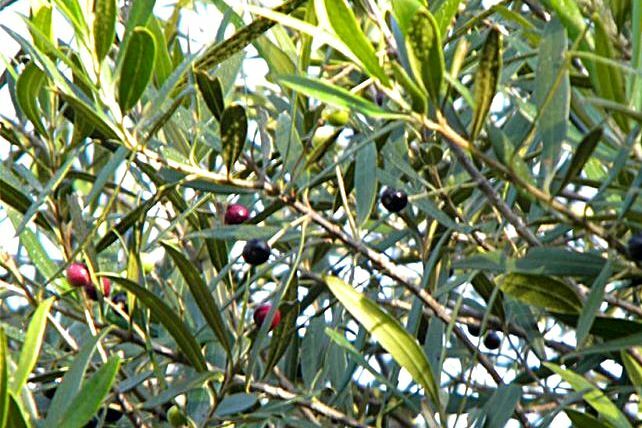 The Wild-olive is mostly found on the southern slopes of the Magaliesberg mountain range from rocky areas down to the river bank areas of the Magalies river. This evergreen tree is single stemmed, branching out quite low down on the trunk with its branches, with a dense and round-shaped canopy, a slow growing-tree. The Wild olive has creamy-white scented flowers (late Spring-Summer) with grey-green to dark-green leaves. The olive’s fruit, also called the olive, is of major agricultural importance in the Mediterranean region as the source of olive oil, it is one of the three core ingredients in Mediterranean cuisine. 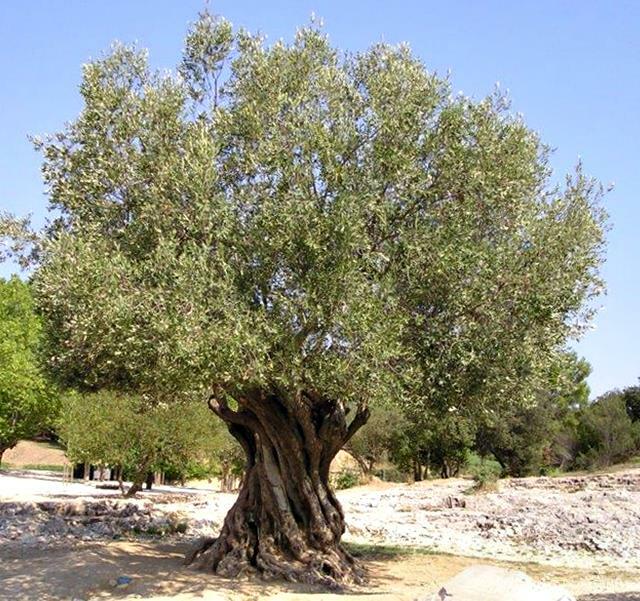 The olive tree, Olea africana, has been cultivated for olive oil, fine wood, olive leaf and the fruit. The Wild olive tree flourishes best on limestone slopes and crags and coastal climate conditions. They grow in light soil, even on clay if well drained. Wild olive trees like hot weather and sunny positions without any shade. They tolerate drought, disease and is fire-resistant.